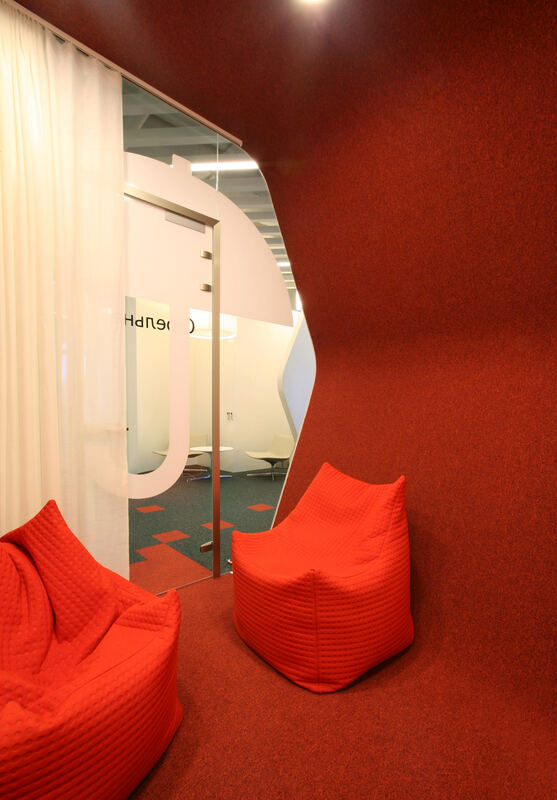 The office in Saint Petersburg is one of the largest and the most interesting from the visual point of view. 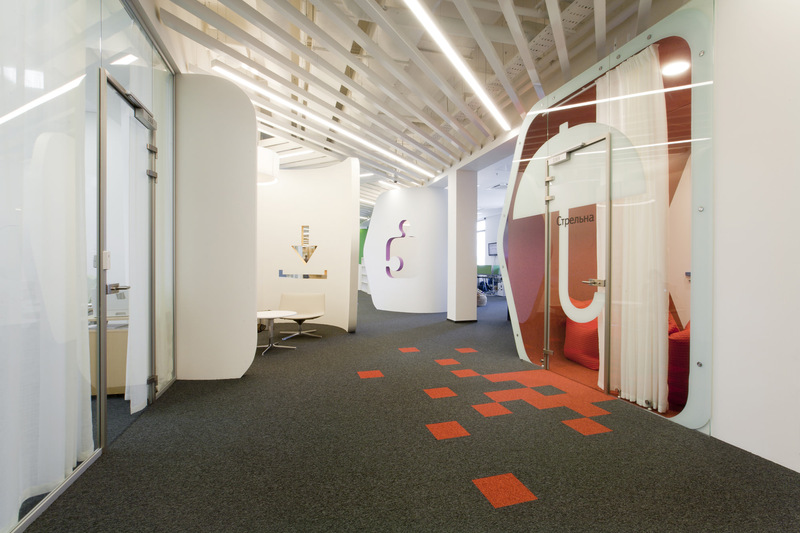 It has been constantly growing during six years. 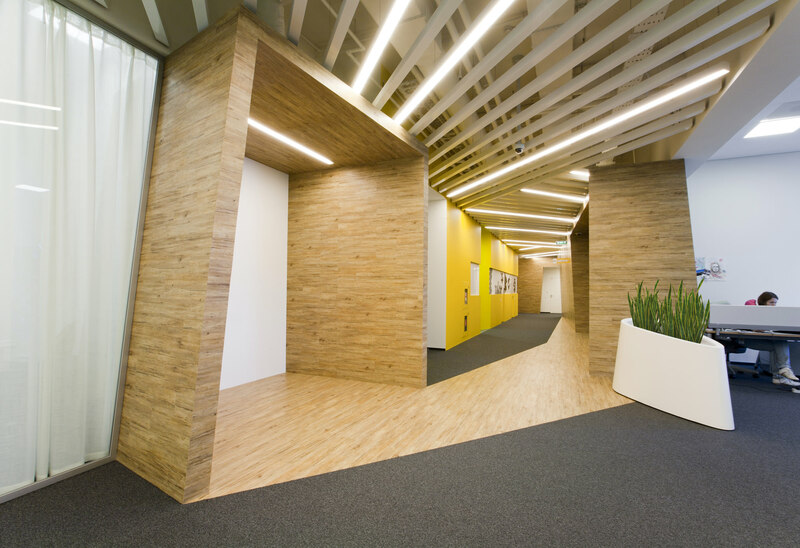 The last construction phase of the office, which is the fourth by now, occupies the third floor of Benois business center. 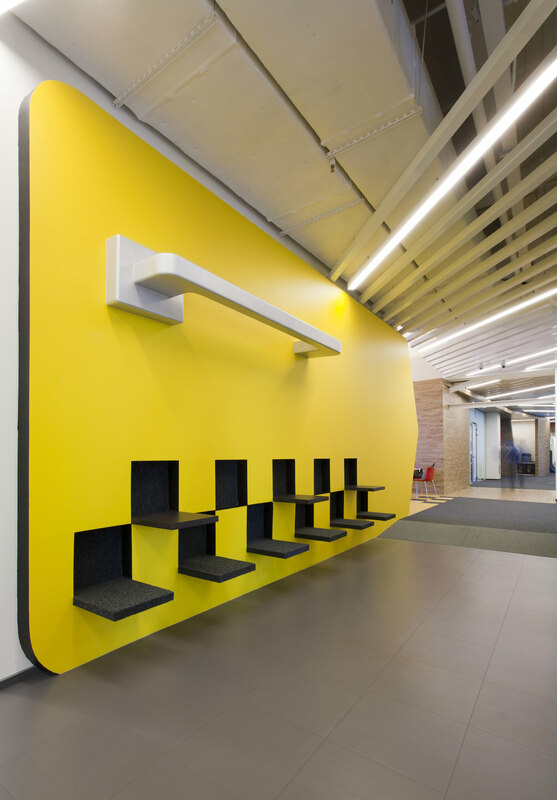 The client wanted to see an interesting office which would be combined well visually with a very bright part located on the fifth floor and with the quieter offices on the fourth floor. 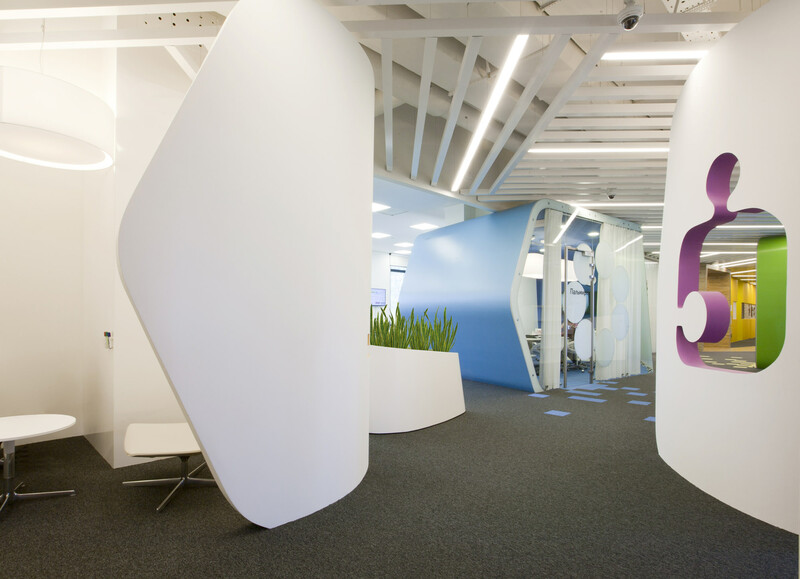 As a result to the office has got the advantage of the best style solutions created throughout the years of work, and since during this time the search engine design has changed repeatedly, there have appeared new designer solutions related to the corporate symbols of the client. 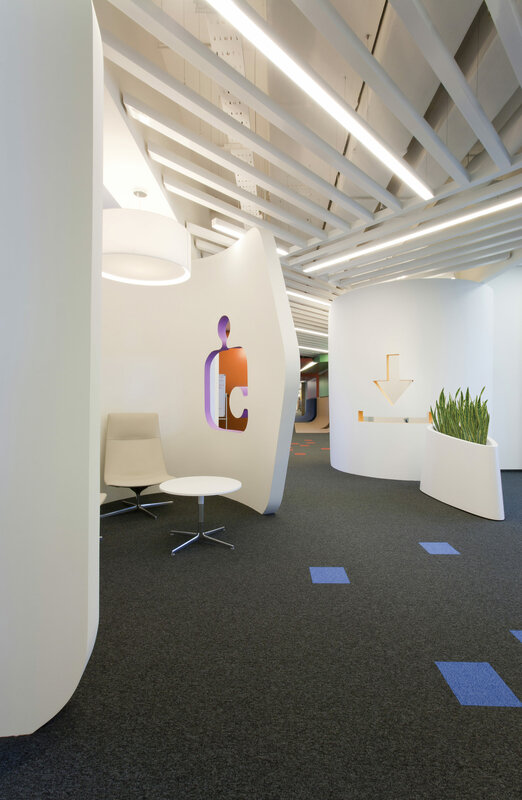 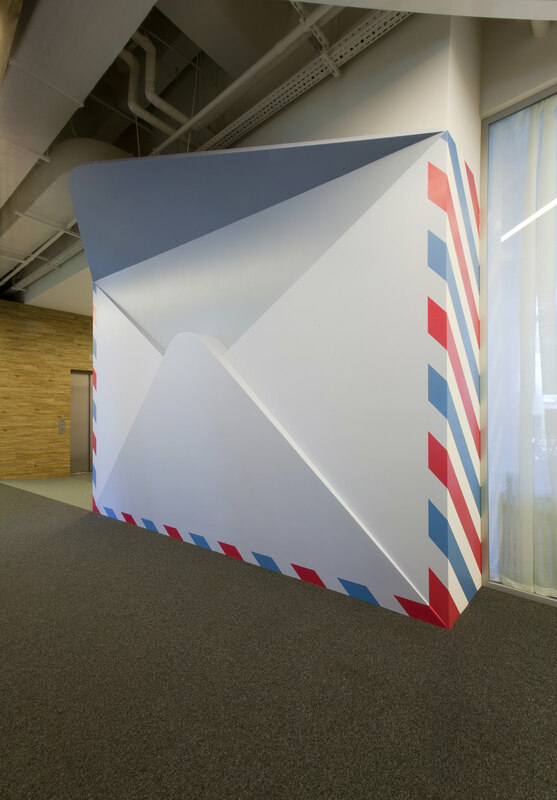 Now it is a new story about Yandex in which many flat icons have become 3D, there have appeared «contour» embodiments in the form of cuts on the walls which create recognizable contours of the symbols familiar to millions of the search engine users. 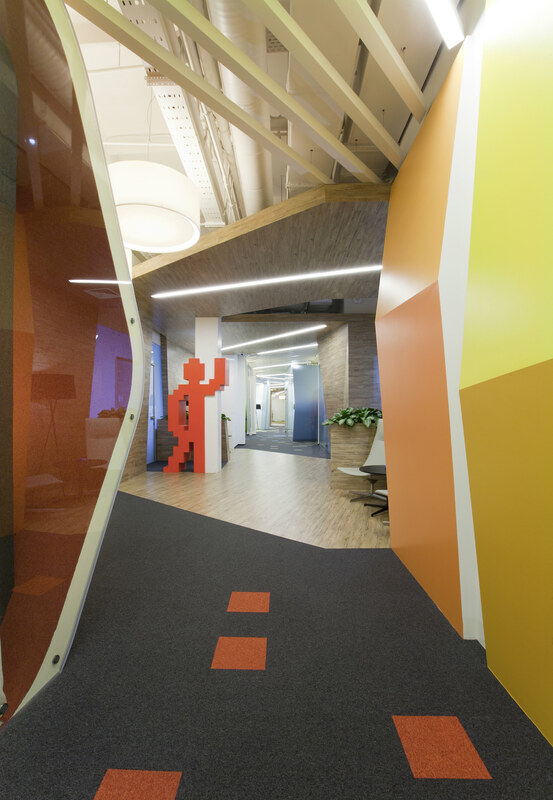 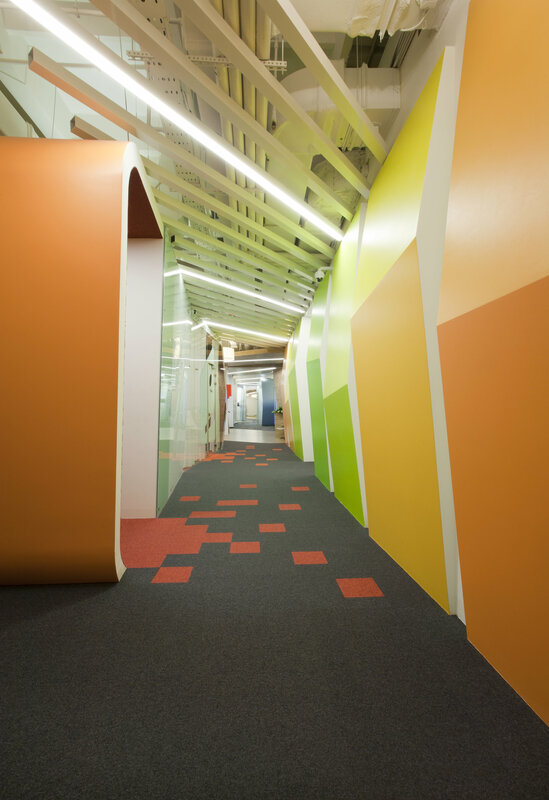 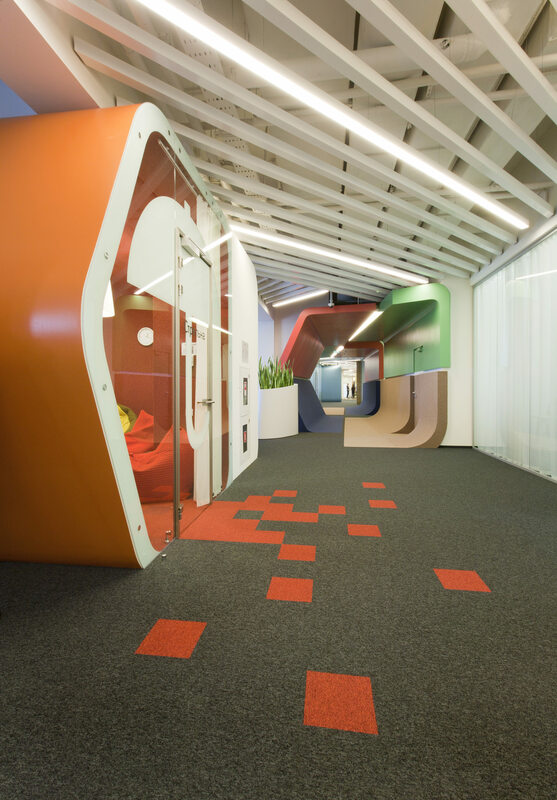 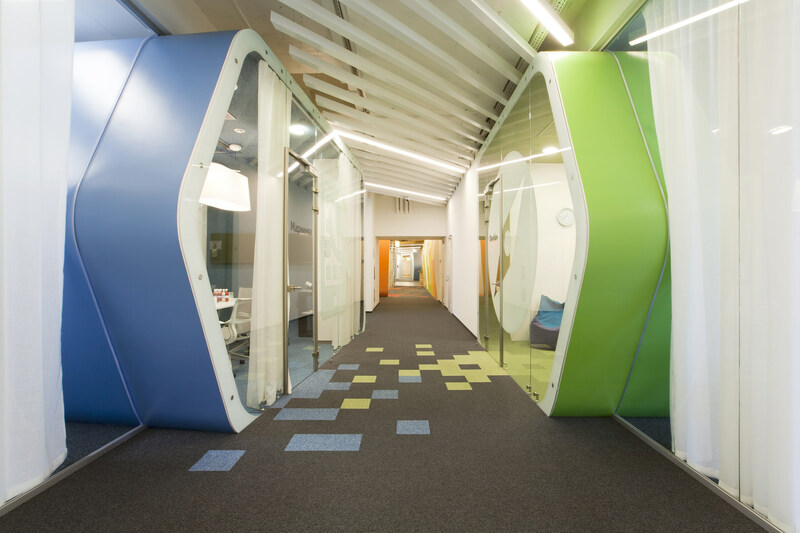 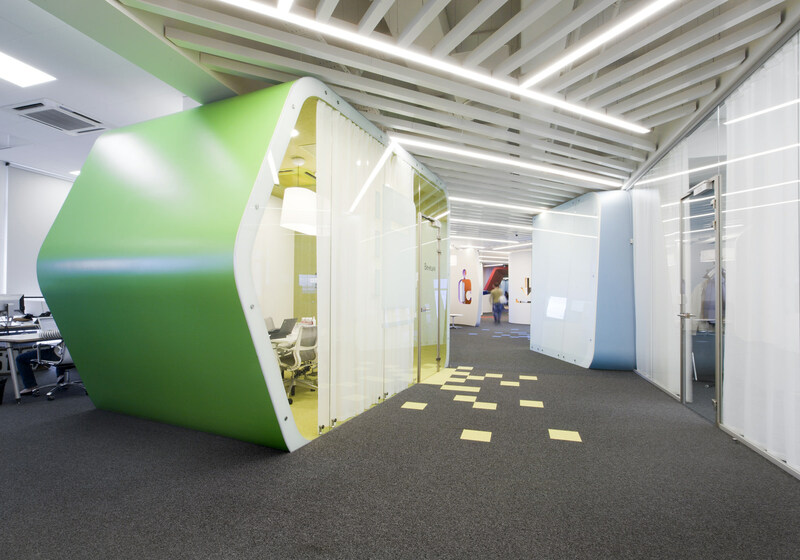 Thus, according to the architects’ plan, there takes place the immersion of the office guests and employees in Yandex services with which they normally interact in the two-dimensional screen plane. 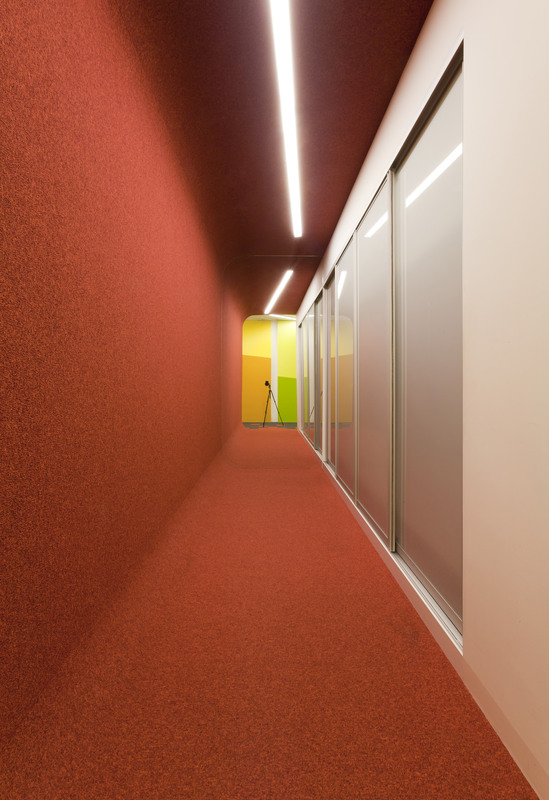 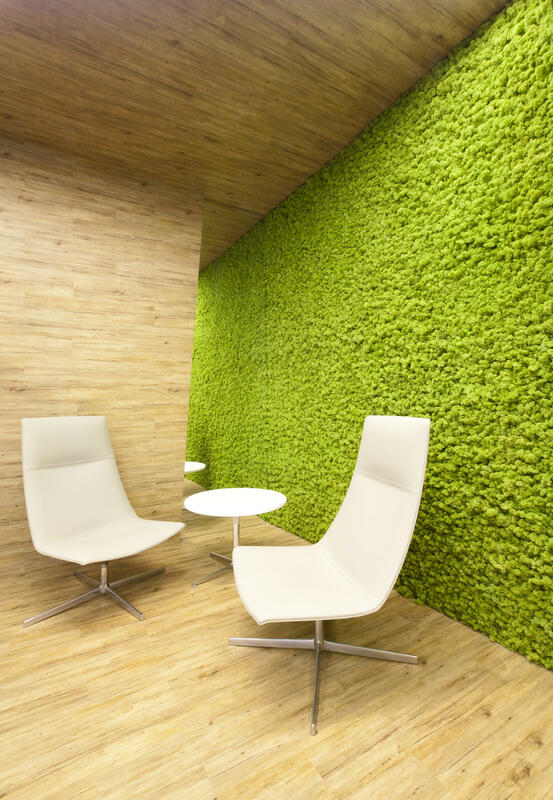 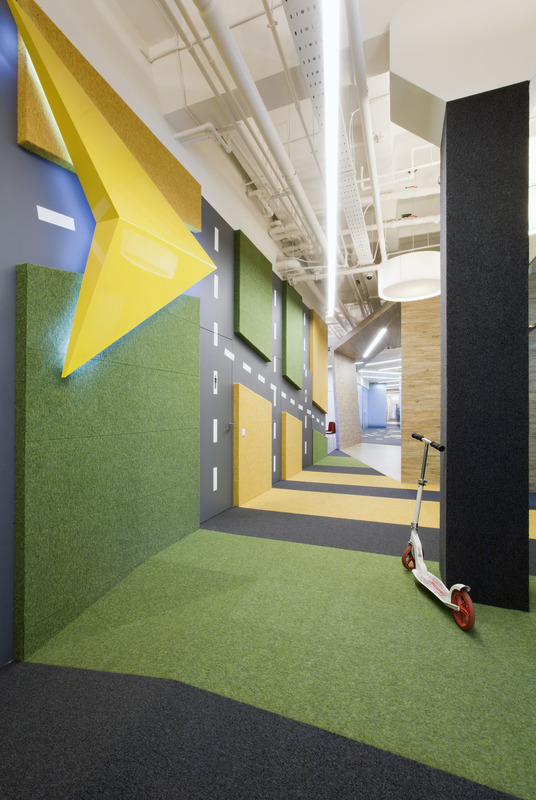 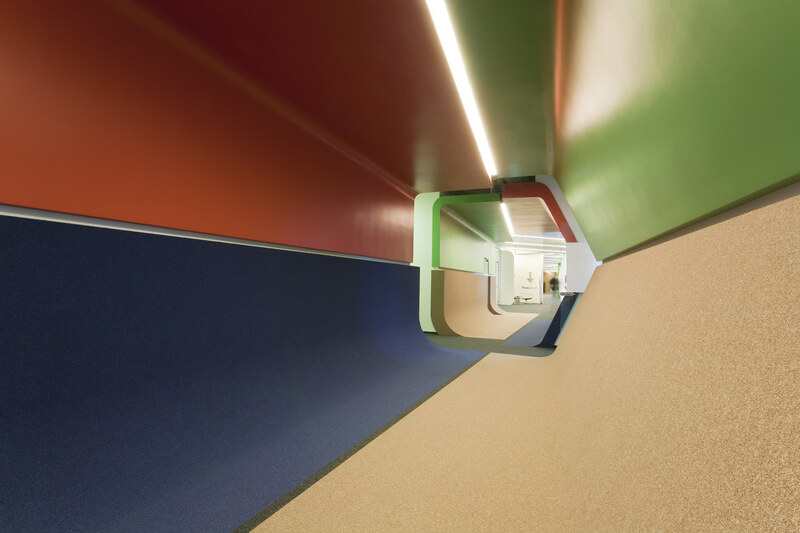 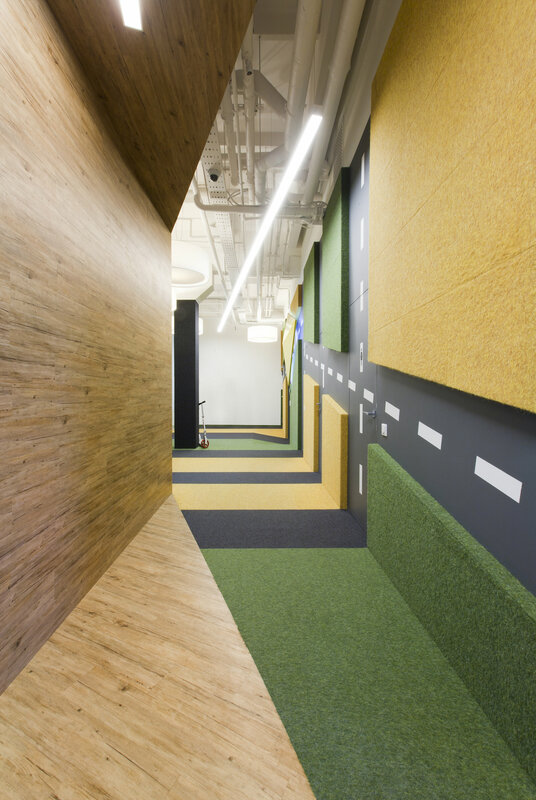 In the finishing ecologically friendly materials of the last generation are used — industrial carpet, plasterboard; one of the walls is covered with stabilized moss.